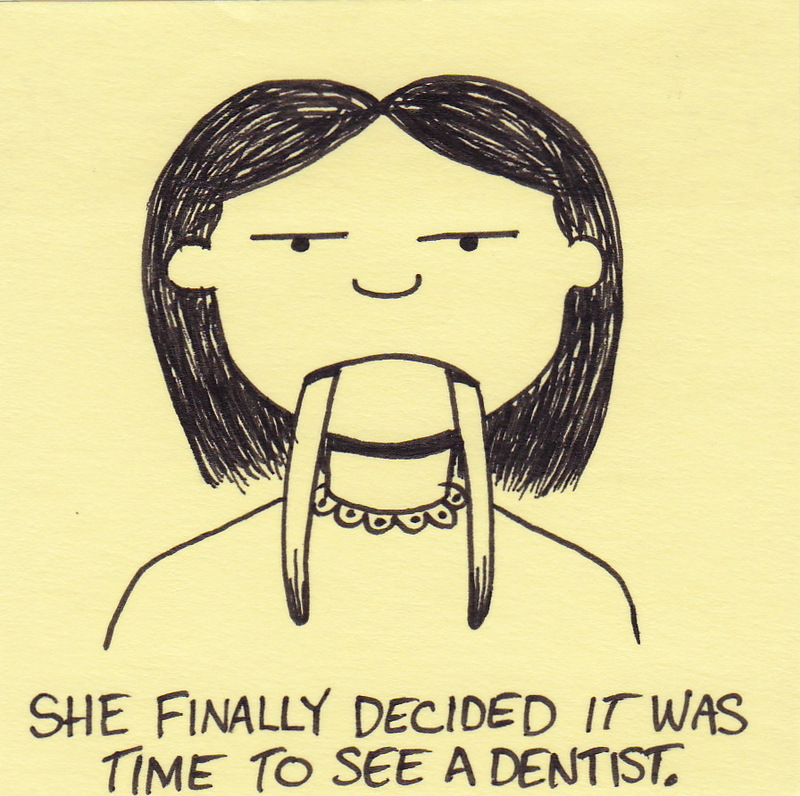 She finally decided it was time to see a dentist. Tomorrow my wife is going to see an oral surgeon. She has been experiencing pain in her mouth over the past month. It began as a mysterious pain, but after only a few days we discovered the source of the pain. A bone erupted from the inside of her lower left-hand gum. Our dentist told her that it must have been a fragment that had been left behind during the extraction of the wisdom tooth that once lived in that general area. We were surprised. Especially considering that the tooth in question was removed almost 15 years ago. However, the fragment was removed easily and we were satisfied. We were no longer satisfied. After another visit to the dentist, he referred my wife to an oral surgeon. His new hypothesis is that she has a jagged piece of bone growing out from her jaw. The first fragment was only a small piece of the larger, attached growth. In other words, my wife is growing a tusk. ***UPDATE*** My wife complained that I drew her wearing dorky clothes. I am writing this to assure everyone that the picture above is obviously not my wife. She only has one tusk. 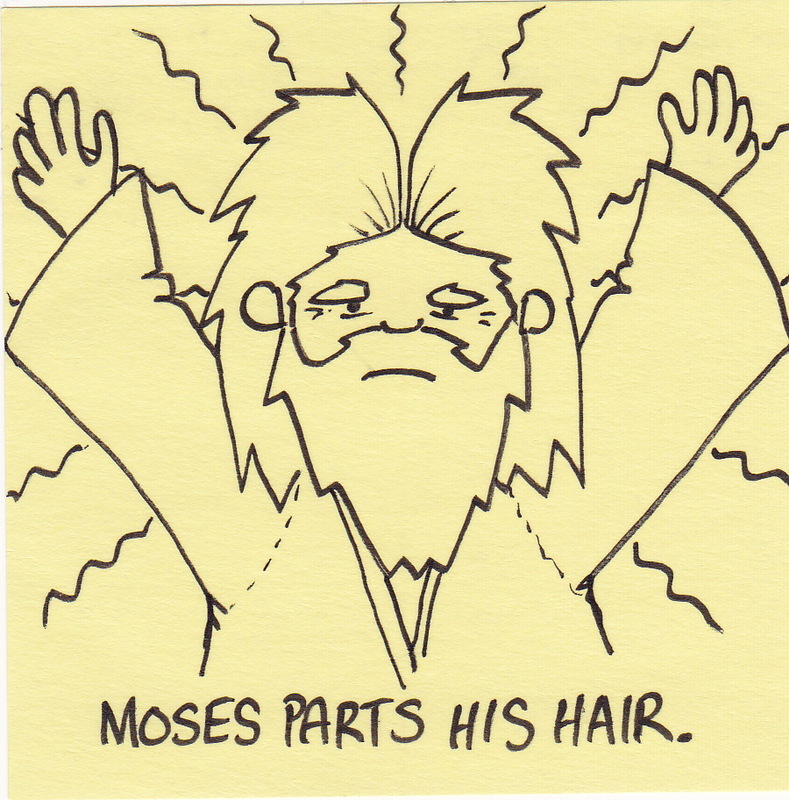 After 40 years wandering the desert, it would take a miracle to maintain stylish hair. 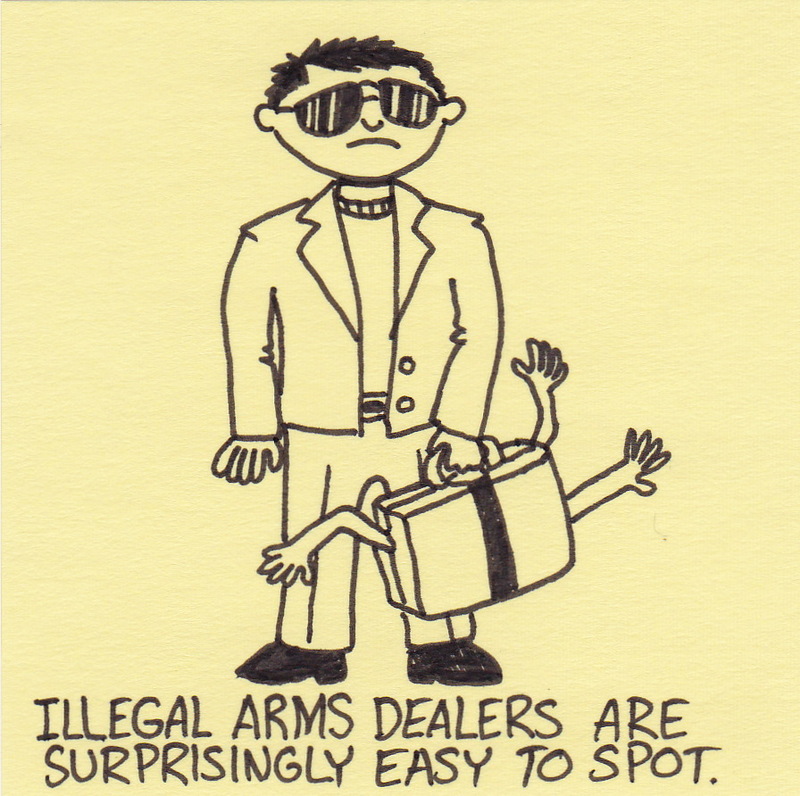 Recently, the increased measures in American airport security have been getting a lot of attention. These stories have gotten me thinking about a trip I took to Europe almost two decades ago. As I travelled, I found that the concept of “security” varied quite a bit from airport to airport. One of the clearest memories I have of that trip was boarding a flight somewhere in former-Yugoslovia. There was only one metal detector in the departure area and a lengthly line of travelers moving very slowly through it. There was a group of three men directly in front on me in line. As each of them moved through the metal detector they set it off. I, being acutely aware of the armed conflict that was currently taking place in the region, felt a little nervous that all three men had triggered the alarm. I looked at the security guard and waited to see what would happen. The guard leapt into action. He began talking very loudly and waving his arms frantically. More specifically, he was frantically waving them to hurry up because the line was moving too slowly. The alarms didn’t seem to worry him so much as annoy him. He wasn’t actually going to be flying with us that day, so I can’t say for sure if he would have been willing to bet his life on that decision. BUT, it was clear he was quite comfortable betting mine. 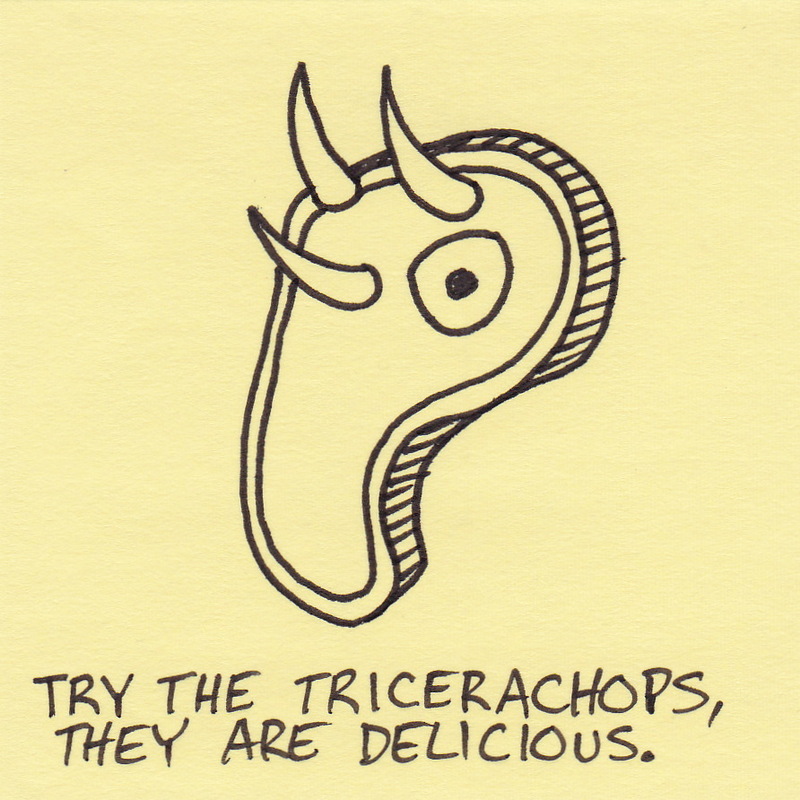 Try the tricerachops, they are delicious. I think this cartoon speaks for itself. I like meat. Beef, buffalo, moose, elk, reindeer, or whatever else is available. If dinosaur was on the menu, I’d give it a shot. 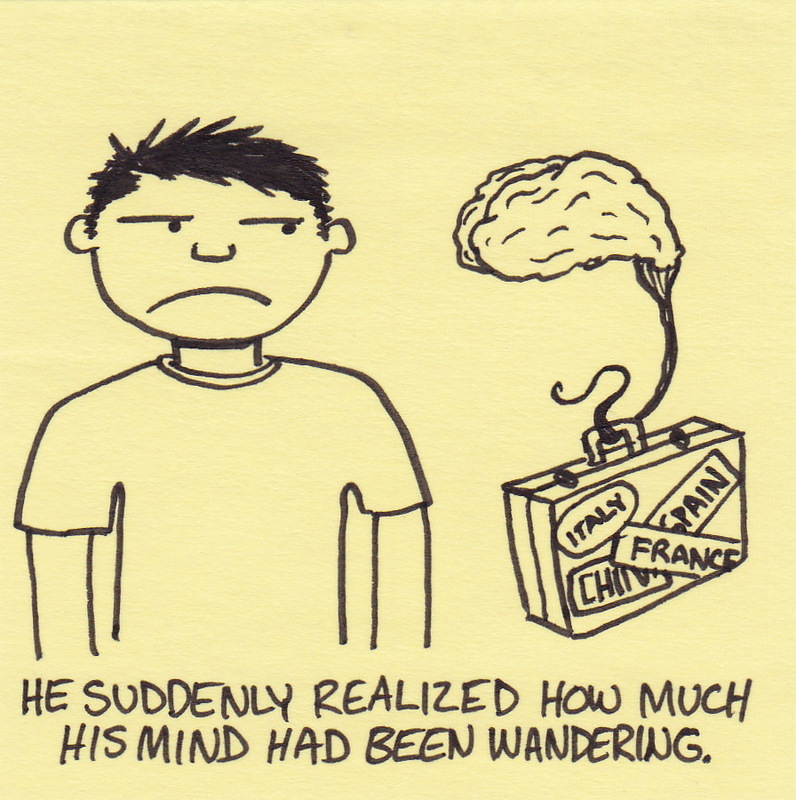 He suddenly realized how much his mind had been wandering. I think most people would agree that the image disembodied, floating brain is pretty horrifying. BUT, if that same brain is carrying a piece of sensibly-sized carry on luggage, it becomes almost cute. 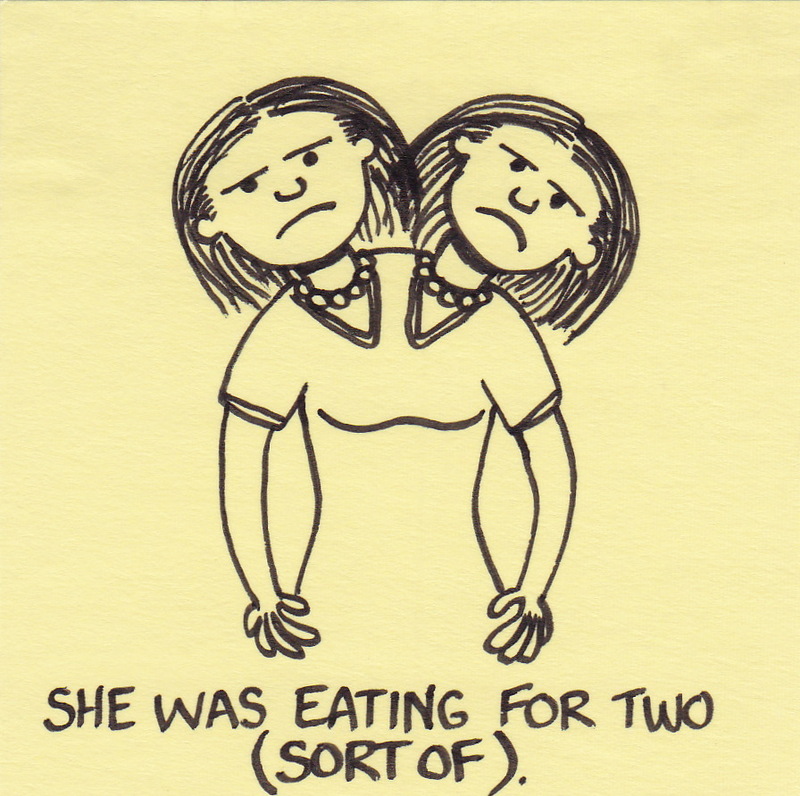 She was eating for two (sort of). And if she (they) were pregnant, would we say she (they) was eating for three? 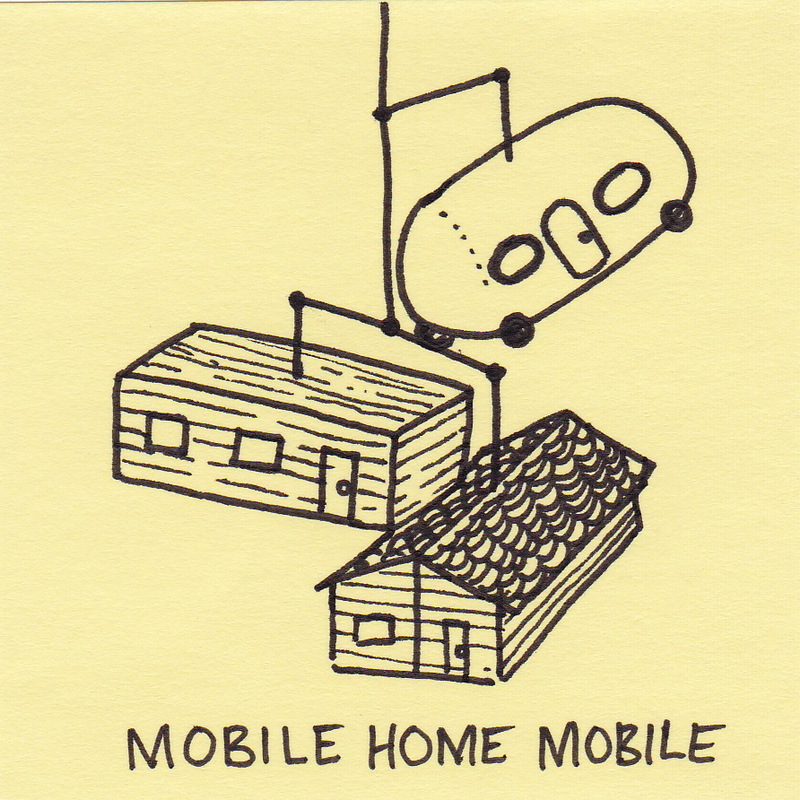 You are currently browsing the Inkjot blog archives for November, 2010.